If we talk of tangible but inexpressible beauty and a phenomenal thing like total literacy, it is none other than Kerala. Kerala in India tucked at the southern tip of Indian peninsula is an easy winner owning to its mind-blowing landscapes and charisma of intriguing customs, high-intensity cultural life and educated public so often dressed in pristine white. From Kasargode to Thiruvananthapuram, Kerala India is choc-a-bloc with places that attract tourists and travelers from all over the world justifying its appellation Kerala - God's Own Country. 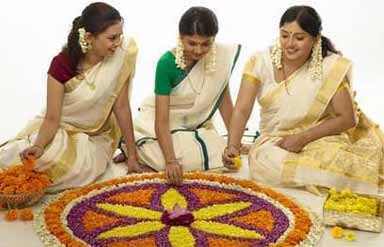 The tourist spots in Kerala include Thiruvananthapuram, Kovalam, Kochi, Munnar, Alleppey, Kovalam, Mararikulam, Varkala and Poovar. 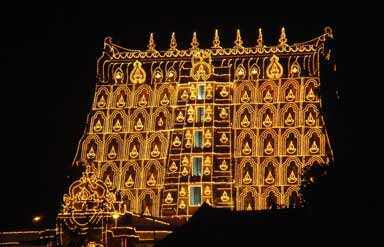 Location: Thiruvananthapuram or Trivandrum lies on the southwest coast of India, is the capital of Kerala. Tourist Destinations: There are a number of tourist attractions in Thiruvananthapuram, India. A must visit is the the Padmanabhaswami temple, amongst one of the 108 shrines sacred to the Vaishnavites in India. Several kings also built their palaces in and around Thiruvananthapuram. The major attraction here is the 250-year-old temple car made for Lord Vishnu lying within the museum compound of Thiruvananthapuram. Sri Chitra Art Gallery proves to be an ideal place for art lovers. Then, of course, a trip to the capital city is incomplete without a boat-ride on its enchanting backwaters. Location: Popularly referred to as the Queen of the Arabian Sea, Cochin is located on the west cost of India in the beautiful state of Kerala. 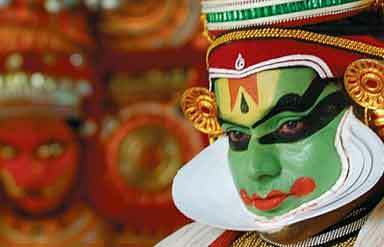 The city can be regarded as the commercial and industrial capital of Kerala. Tourist Destinations: While in Kochi, one must visit the Fort Kochi that reveals the European heritage of Kochi. Santa Cruz Basilica happens to be a landmark of Kochi and a major tourist attraction too. Further there is 16th century St. Francis Church, The Dutch Palace at Mattancherry and The Paradeshi Synagogue (one of the oldest synagogues in the world). Location: Kovalam, meaning "a groove of coconut trees," is just 16 km from the state capital of Kerala- Thiruvananthapuram. Tourist Destinations: Kovalam is actually a combination of three small beaches. Out of these, the southernmost beach, named Lighthouse Beach, is the most popular one among the tourists. Despite the usual sun bathing and surfing, many marine activities are possible at Kovalam. The local fishermen also provide sunrise and sun set cruises in fishing boats. At Kovalam, many hotels and resorts offer Ayurvedic massage and treatment. Yoga centers are also aplenty in Kovalam. Among innumerable beach holiday resorts; Kovalam Ashok Beach Resort, Surya Samudra Beach Garden, Somatheeram, Niki's Nest, Cocunut Bay Beach Resort, Uday Samudra Beach Resort, Hotel Samudra etc own private beaches famous for their cleanliness and secluded location. 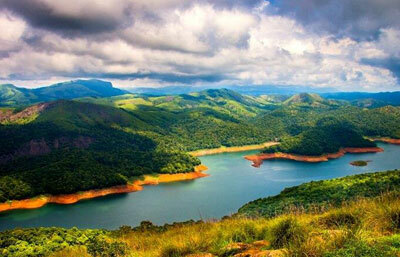 Location: Munnar is a small hill station set amongst the Kannan Devan hills. Munnar is located in 130 km east of Kochi at an altitude of 1524 m above sea level. 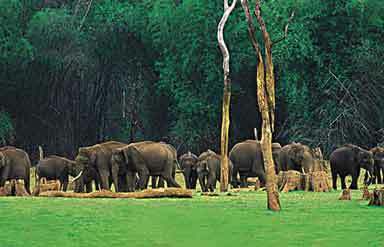 Tourist Destinations: Travellers can have panoramic view of the verdant surroundings and forested hills from Munnar. One can also walk amongst the numerous tea estates of Munnar and view the entire process of making tea at the Kundale tea plantation. Anaimudi (2,695 m), the highest peak in southern India, can be viewed from Munnar. The Christ Church is an important tourist place in Munnar. The National Adventure Foundation conducts a course on paragliding in Munnar. Tourists can also enjoy boating in the lakes in Munnar. Location: Alappuzha or Alleppey is one of the exotic backwater sites of Kerala. Washed by the Arabian Sea, interlocked by a number of canals and bridges, it is also famous for its Nehru Trophy boat race held every year. Tourist Destinations: Punnamada Kayal where the annual Nehru Trophy boat race takes place is a must visit site. Krishnapuram Temple, the two-storied building of Alappuzha, displays the typical Keralan style of architecture. Also the largest mural painting, Gajendra Miksham, is displayed in a museum here. Ambalapuzha Temple of Lord Krishna is also a sacred place in Alappuzha. Further in the list are: St. Andrew's Church, established by the Portuguese missionaries in Alappuzha; Mullackal Temple, dedicated to goddess Rajarajeswari; Mannarasala Sree Nagaraja Temple where the king of serpents is worshiped; The Chettikulangara Bhagavathy Temple; Kottamkulangara Mahavishnu Temple, Devi Temple, especially during the time of festivals. Location: What makes the coastline of Varkala exceptional is its landscape. Towering cliffs that stand like silent sentinels, guarding the sparkling waters, back the beach. Tourist Destinations: Sivagiri Mutt, the samadhi (memorial) of Shri Narayana Guru, the spiritual leader and social reformer of Kerala is frequently visited by tourists. Most people, who visit Sivagiri, also go to Janardhana Swami Temple situated close to the Varkala's beach. Much before Varkala became known, internationally, for its sandy stretch, its beach, named Papanasam, was already famous as a pilgrim centre in Kerala. Considered as an auspicious site, during the season of Karkkidakavavu, special pujas are conducted here for invoking departed souls. Location: Sixty kilometers South of Cochin, Mararikulam is an hour's drive from Cochin and even less from Alleppey. It is the most spectacular stretch of soft sandy beach fringed with palms. Tourist Destinations: It is one of the local fishing villages, where life still goes on as if a hundred years ago. Marari offers endless miles of superb sandy beaches backed by swaying palms, virgin territory where you can experience the local charm and traditional Keralan hospitality at it's best. You can also visit to traditional coir-making units or explore the marvelous backwaters, where the tranquility, the stunning scenery and the feeling of being transported back in time, makes it a fantastic and memorable experience. Location: Poovar, the real paradise in Kerala is 40 kms from Kovalam. This time in the accommodation that is built on stilts over the sea. A beautiful way to have an interesting and unique insight into the state. Tourist Destinations: In Poovar where clear blue skies and emerald green nature, washed in the monsoon, smiles in full glory you can have a perfect holiday. Poovar Island turns stunning with its tranquil backwaters, frilled with swaying palms with a golden beach and the sea on one side. You can opt for a languid bath on the sunny beach nearby or simply row to the fishing village adjacent to the Poovar Island Resort. Location: Airport, Railways and Bus facilities connecting Muziris Heritage Project from other parts of Kerala are present in Calicut, 145 km away. Tourist Destinations: Kerala's ancient sea-port Muziris has been acclaimed for its rich contribution in international trade and religious significance. The Kerala Government has recently inaugurated the Muziris Heritage Project, which includes major portion of Ernakulam and Thrissur districts. Reaching Kerala is not a difficult thing. Thiruvananthapuram, the state capital, is connected to most of the major airports in India, including Delhi, Mumbai, Chennai, and Bangalore and international airports as well. Long-distance express trains connect important places in Kerala to places outside the state like Mumbai, New Delhi, Chennai, and Kolkata. Major modes of road transport are buses, tourist taxis, cars, and local taxis and autos. State is connected with other parts of South India by a number of National Highways. From Cochin (Kochi), there are regular ships venturing towards the Lakshadweep Islands. 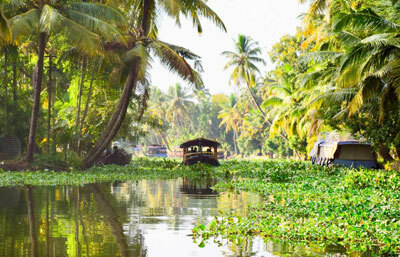 Inside, backwaters of Kerala act not only as a popular transportation medium but are tourist attractions in themselves. 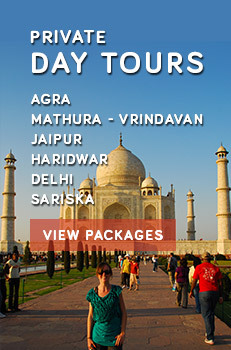 Caper Travel India offers a wide range of Kerala Tour Packages. For more details send us query.